Trek through the mountains and Valleys of rural Northern Laos, cruise rivers and truly engage with local hilltribes. Starting from your pick up at the Laos/Thailand Border you will be taken on an adventure through tiny villages, which are home to many of the different ethnic groups in Laos. The Nam Ha National Protected Area will be your base to set out on a trek of a lifetime through the jungle. Visit the emerging towns in the area where farmers and local artisans come to trade their wares Before reaching the former Royal Capital and UNESCO world heritage site Luang Prabang. After transferring on your own from Chiang Rai to the Thai-Lao border crossing at Houay Xai, our guide will meet you at the Lao immigration office and assist you with the visa process. Then we'll drive to Vieng Phouka, stopping along the way at a Lanten village -- the name 'Lanten' is a Chinese term meaning “the people who dye," as they are known for their natural dye traditions; they're also one of the few ethnic minorities in Lao PDR who follow Daoism and read Chinese script. Our journey today will end in Vieng Phouka. a rural village in the heart of northern Laos. Take time to discover the area and meet some of the local people. You'll spend the night in local guesthouse. Today we continue our journey on to Luang Namtha, heading over the mountain route to taking the stunning views. Upon reaching Luang Namtha take a strole around the town, visit the busy night market where locals come together to trade goods and handicrafts and also delicious sreet food. We'll embark on two days of trekking through the forests, fields, rivers and mountains that surround Luang Namtha. Many interesting and challenging treks in this area await you, so you'll choose among a selection of routes to suit your fitness and stamina. Our guides will then arrange the most interesting route, points of interest and resting points for you. Continue with your trekking adventure in the wilds of Luang Namtha. We’ll end the day back at the city in a clean and comfortable room. Rise early like the locals and take a walk to the local market, where you may see members of hill tribes in traditional clothing buying and selling their products. After breakfast you'll take a private minivan through the countryside to Muang Khua. You can enjoy the beautiful landscape along the way. 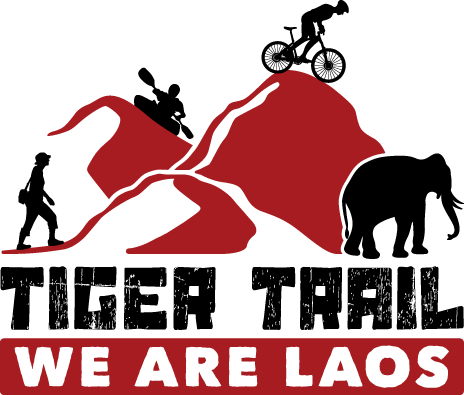 Northern Laos is very ethnically diverse and the mountains surrounding Oudomxai, near the Chinese border, are home to groups like the Akha, Iko, Hmong, Khmu and more. Despite modernization many of these hill tribes still live traditional lifestyles and follow local and ethnic customs. You're likely in these regions to see people in beautiful traditional clothing. The boat ride from Muang Khoua to Muang Ngoy winds through mountainous jungle. The Nam Ou River, one of the most important in the Lao PDR, offers here some best scenery. The river runs 448 km from Phongsaly in the north of the country all the way to Luang Prabang where it merges with the Mekong. On board the traditional Lao long boat we’ll journey slowly downstream, allowing you to take in the view and relax along the way. The boat will pass many remote villages, rugged mountain terrain and impressive limestone cliffs. We'll stop at a few of the villages, most of which are only accessible by boat, and get a unique look into traditional daily village life along the river. The day's journey will end in Muang Ngoy, a relaxing little village where we’ll spend the night. After a short boat ride you'll reach the village of Ban Hat Sao, with a mixed population of Lao Lum and Lao Thung. From the village we will follow little trails on a jungle trek through a preserved part of the jungle and into the nearby mountain area. We’ll pass rice fields, forests and agricultural land on our way to the next highlight, a refreshing waterfall. Much of our route follows the stream and we’ll walk through the river and small waterfalls. After an extended break we’ll hike back to the river area. A small walking trail following the Nam Ou River will bring us to Nong Khiaw. After a one-hour boat trip on the Nam Ou we'll start exploring and hiking through the "100 waterfalls," a recently discovered jungle waterfall. A village visit is included as well, where you learn more about life along the Nam Ou River. In the evening we’ll ride back on our boat to Nong Khiaw.